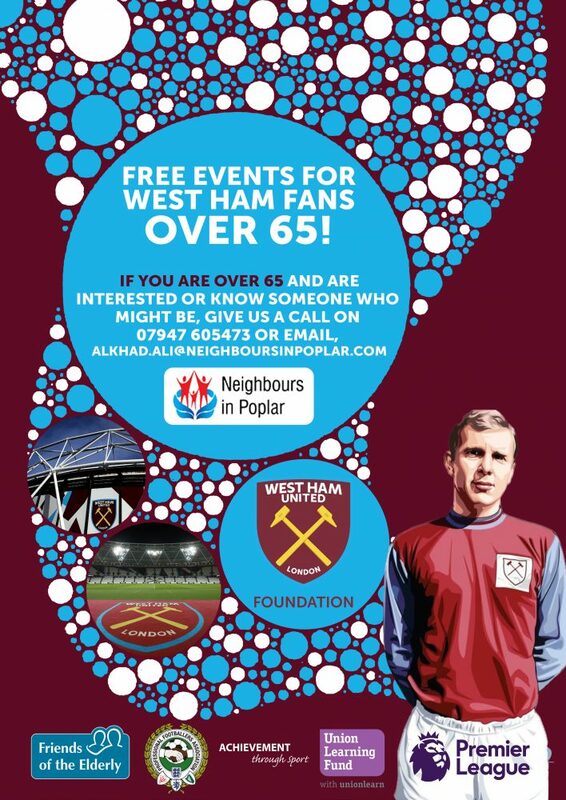 West Ham United Foundation and national charity, Friends of the Elderly, are inviting fans of the football club, who are aged 65 and over, to join a project to celebrate and explore the club’s rich history, and give those involved the opportunity to reconnect over their love of football. The five week programme starts on Wednesday 18th April 2018, this will be held at a venue in Poplar between 1 – 3pm. This will be for 5 consecutive Wednesdays and will include different sessions, for example guest speakers from the club, stadium tour, opportunity to learn new digital skills and lots more. Refreshments are provided, it is a relaxed social environment and session are free to attend. After the five weeks they can continue to meet up with new friends are our regular month meetings and other one off events. Cirque Berserk! celebrates the 250th anniversary of the invention of Circus with four performances on the stage at the Theatre Royal Stratford Tue 3 – Wed 4 Apr 2018. The Crossrail Art Programme goes live across London at the end of the year. In the meantime the Whitechapel Art Gallery is showing a free exhibition of the sketches and prototypes until 6th May. Open 11-6 everyday except Mondays, and until 9pm on Thurs. St Margaret’s House, down at the Bethnal Green end of Old Ford Road, is running 3-6 low cost yoga classes everyday. The classes are held at Yoganest, 27 Old Ford Road. Their programme is here. The local police have issued this guide on minimising the risk of your moped or motorcycle being stolen. 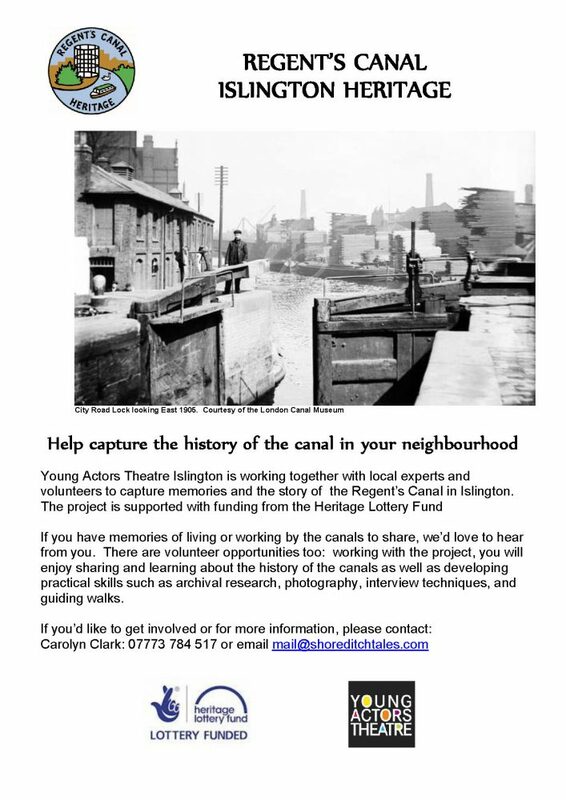 The Young Actors Theatre in Islington is trying to capture the story of the Regent’s Canal. If you have any memories of living or working by the canals to share please email mail@shoreditchtales.com. See the poster below for more information. So much going on in and around East London. For us to enjoy.